I was very excited to listen to this as me and I had to fast forward at least 5 mins to actually get to any sort of content and thinking I had finally reached the point where the information was going to start coming the husband of this podcast continued to not take it seriously with lots of annoying banter with his wife who was trying her best to get him to take it seriously. Very disappointing and annoying. No. Stop babbling back and forth about absolutely nothing!!! I tried a Few episodes and just couldnât get any substance out of it. While I like a little chit-chat to get acquainted with you as a couple, it takes a little too long to get to any substance, in my opinion. Iâm not sure some listeners have the patience to get to your target message, especially those who are desperate for help. Great topic, too much rambling. I loved the topic because we too have a âspirited childâ, and the info given was good, but I felt there was too much rambling at the beginning of the episode. This couple is very cute and remind me of my marriage but in reverse lol. I really like the challenges. Itâs one thing to listen but to actually Do them is what will make the whole difference. Just listened to episode 74. It was fantastic!! I learned a lot and could relate to everything they discussed regarding resentment and taking caution in the situations we place ourselves. The only reason I gave it a four instead of five is because there was a horribly distracting noise in the background that sounded like a knife being sharpened. It was so awful it was giving me anxiety haha. Please edit. In love with this Podcast! I had started listening to two other marriage podcasts before this one, but they were extremely religious-based. Way too much for me. In this podcast, they keep it real and offer amazing marriage advice and challenges! It helps that I am so like Mandy and my husband is so like Jeff! I look forward to my commutes now because of their podcast :)) So happy that I stumbled upon this one! I immediately deleted the other 2 that I had on my app. Love this podcast! It helps couples relate and realize their situations are more common than it seems! Gives couples hope that they arenât alone in the everyday marriage obstacles. I love listening to Jeff & Mandy. They inspire me & have given us tools to help our marriage & build on the beauty that it is. The Love Languages and the Enneagram are amazing tools - I also love the interviews podcasts. The funniest so far had to be when Jeff got lost & they were just giggling with each other. They are truly an amazing couple! No plan for any given show, grabbing the mic and rambling back and forth. Immature thinking and a lack of marital challenges of any real gravity. I usually don't do reviews at all, but I really believe that the Roses are a great couple to listen to! Jeff and Mandy make great points and give good advice that My husband and I bring into our marriage. I especially like that the podcast is not all happy-go-lucky stuff; itâs struggles and hardships and compromises in a real world where chaos is all around. Thank you Jeff and Mandy, and God bless you and your marriage! I really wanted to like to podcast. I listened to 3 before I made any conclusions. I found the bickering preceding the podcasts to be very distracting as well as sad for the husband that his wife seems to constantly laugh at his expense. I had a hard time rooting the podcasts in spiritual guidance. No new podcasts in too long. Hope all is well and you bless us with more Marriage and More podcasts. Please? Pretty please? With an In and Out burger and fountain coke on top! These podcasts are funny and usually have practical tips to help in your marriage if you've been married 2 years or 32 years. I haven't listed to very many yet but the best one so far was the one on resentment. MM074. Go back and listen to that one. I really enjoy listening to this podcast. I've tried many marriage podcasts. This one feels genuine and engaging. Others feel like "Listen to how well we do things and copy us... oh then buy our book." The Roses make no claims that they have it figured out. They simply share their life. My favorite are their bedroom confessional episodes. Love this podcast. Jeff and Mandy are faithful, transparent, and entertaining. As they take us on their journey of the good, bad and ugly; they step out faithfully to help those who are looking for inspiration and restoration in their marriage. Prayers and blessings to the Roses. I started listening to this podcast about 6 months ago. I loved it! Recently, my husband started to listen with me. We both enjoy Jeff and Mandy's willingness to speak truth and honesty about their own marriage. Would highly recommend! Every couple needs to listen to this! Jeff and Mandy provide such valuable, actionable content for married couples (really for all couples). Just listen to one episode, subscribe to the podcast, and your marriage can't help but improve! As someone who's part of a married couple, I can totally relate to this show. My husband and I gave the declutter challenge a try this Fall... and I'm sure glad we did seeing as we'll be moving in a month. Thanks for this show! New listener, but loving the show!! I just started listening and love Jeff and Mandy's show...pretty excited for my wife and I to try out the challenges! 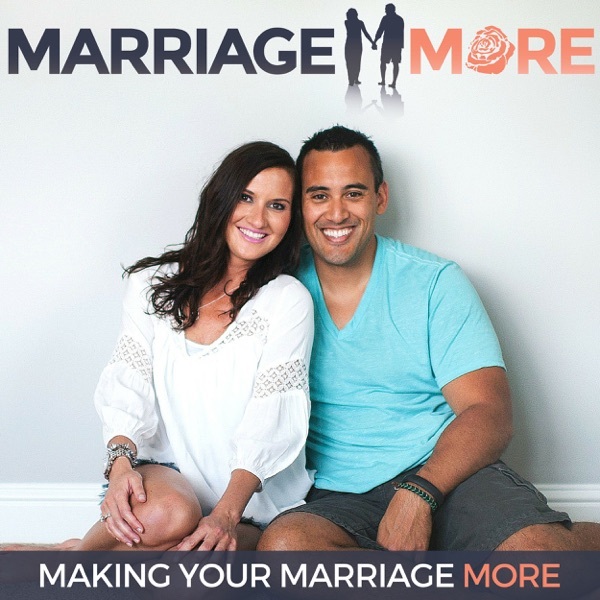 This is a great podcast to remind me of the importance of continually working on my marriage. Jeff and Mandy share practical examples and aren't pretending or making up examples. The real life scenarios are a the same things my wife and I go through. Light hearted and casual yet leaves you wanting to give your marriage your all. I love listening to Jeff and Mandy when I'm in the car and when I'm getting ready in the morning. While I love Christian music, this podcast offers a nice break when you just want to hear something fun, uplifting and different. It's nice to hear how these guys challenge eachother to be better everyday. They're inspiring and make me want to make my marriage more everyday. Cant wait to start on some of these marriage challenges with my hubby. Love Jeff & Mandy. Not only do I enjoy their podcast, I know them personally - and they are every bit as great together when you meet them in person as they are in this show. Thanks for the inspiration & conversations in this show! Love, love, love this couple and this podcast! Jeff and Mandy are so transparent and genuine. Love getting tips on communication and goal setting! Jeff and Mandy's podcast is so honest and encouraging! It makes me feel "normal" and makes me want to keep working on our marriage in the practicle ways... it never makes me feel overwhelmed or hopeless... instead I leave feeling encouraged and with some fun new ideas to try! Since listening my husband and I have been asking eachother about our "daily wins". I absolutely love hearing what has been a big deal in his day, and makes me feel closer to him. Thank you Jeff and Mandy! I appreciate you and your honesty, transparency, and love for Jesus! I first heard Mandy on Jamie Ivey's podcast and I've been hooked from the first episode I listened to. I love the challenges, and the openness with which Jeff and Mandy share. They are quick to point out that they haven't gotten it all figured out and they are still working on themselves and sharing what they've learned as they go. Love love love you both! The podcast is super encouraging with your faith, raising littles and making my marriage more. You guys make me laugh and inspire me to love my husband more! So excited for you guys and your next adventure with adoption! Thank you for being relatable in every way possible. You guys rock!!! Truly a blessing of a podcast! This has helped me so much in understanding and striving for more in our marriage. Thank you for being so down to earth and real! My wife had me read an Instagram post from Marriage More a few months ago and now I'm hooked. My favorite part is that Jeff is a real man. He does man stuff, talks like a man, and has man problems. I appreciate that when I listen to the podcasts as it makes it much more relatable for someone like me. I love listening to Jeff & Mandyâs podcasts! I learn so much from them and they are so encouraging! Love how relatable they are and I love their heart for helping marriages. Thank you for all that you two do! Guys, thanks so much for sharing about your marriage. This podcast is insightful and fun to listen to. I appreciate the authentic approach from a Christian perspective. Keep up the good work. You are a blessing. Mandy and Jeff are my absolute favorite podcast to listen to. When it is over I find myself already looking forward to their next one. I do not have children yet but I am engaged and the way that they talk about their struggles and victories in life is truly a breath of fresh air. They are so real and true with who they are and I just love that. When you are listening to them you can tell how passionate they are towards each other and making their 'marriage more' (see what I did there!) and it is so wonderful and uplifting to hear that. They are just so great! A show about marriage that's real & raw is just what I want to hear. Mandy & Jeff genuinely care about the marriage of their listeners. They speak with truth & grace towards each other. Love how they keep it REAL! Looking for a podcast that actually addresses how both the husband and the wife feel??? This is the one to listen to! Also love how Mandy and Jeff actually keep it real and donât pretend to have a relationship without issues, but rather one that is a âwork on progressâ where they are still figuring it out along the way. Oh yeah, and they will make you laugh out loud as well, must listen for couples! As the spouse of a marriage counselor, Iâve seen my share of marriage resources. This one is different. Itâs fresh, practical, authentic, vulnerable, funny, and full of life. Highly recommended! Enjoy listening to Jeff & Mandy! Great podcast! This is a realistic and refreshing look on marriage, communication, and parenthood. The conversations between Jeff and Mandy are not only hilarious, but also helpful. I will most certainly be tuning in for each episode! Jeff and Mandy are truly a breath of fresh air. I adore their honesty and transparency and real life situations. They talk about the good and the bad and manage to make me laugh out loud each podcast. They make me want to be a better spouse! It is fun seeing the results of implementing some of their practices in our marriage. Glad you two are back doing reg podcasts - they make the work day go by quicker! Thanks Roses! Mandy and Jeff dive into many of the exact same situations my husband and I have encountered in our marriage. Their candid and honest take is oh-so-refreshing and I love tuning in every week. I can't even tell you how many times I've thought, "this IS us!" Keep up the great work Roses!